You don’t need to be a pro to experience the thrills of what it must feels like to be an NBA All-Star when playing some ball on one of the best mini basketball hoops on the market. Most of us, from kids to college students, to adults, whether at school, at home or at the office, have at least seen what a mini hoop looks like and have probably tossed up a brick or two in an effort to sink a shot or slam a power dunk on the mini hoop hung from the height of the doorway. Below you’ll find reviews of the top 9 mini hoops along with one that you might want to leave behind. Different Types of Mini Basketball Hoops: Over the Door or Mounted Hoop System? SKLZ Pro Mini Basketball Hoop – Glow In The Dark Review: SKLZ is the brand that you want to look for when looking for mini basketball hoops, and this hoop is the best one there is. The SKLZ Pro Mini glow in the dark hoop is incredibly easy to set up as it gives you all the tools and only takes minutes. The rim is quality, and the hoop is one of the best made, it will be reliable for years with an 18” x 12” shatterproof backboard with foam padding for extra protection for when you want to slam dunk on your door. The glow in the dark feature is also perfect for the late nights shooting 3’s from your bed. RAMgoal Durable Adjustable Indoor Mini Basketball Hoop and Ball Review: This RAMgoal mini hoop is very similar to a miniature NBA hoop. This hoop has a breakaway rim which allows for some insane dunks but the hoop is very durable, and parents will be happy buying this hoop for their kids because there will be no damage to the door. An excellent hard to come by backboard combined with an adjustable feature that sets this hoop above and beyond most mini basketball hoops. It is a premier mini basketball hoop, but the price is one of the biggest you’ll find on the market, but if money is no factor, then this hoop will make any buyer very happy. The basketball that it comes with is very realistic as well. Mini Basketball Hoop with Breakaway Rim by Stumptown Sportz Review: This mini basketball hoop has everything that a buyer can ask for. It comes with a mini basketball hoop, 9-inch rim diameter, 2 x 4-inch mini basketballs, and a hand pump for easy inflation. The hoop comes with a breakaway steel rim that flexes and makes the bounces realistic when shooting. Also, the durable padded door hanger and backboard allows doors to stay intact while playing with this mini hoop. It’s very hard not to consider this hoop with all the features it gives with a very respectable price. Also, 30-day money back guarantees will make buyers feel comfortable trying this hoop out and making sure it is as durable as it is marketed. Spalding NBA Slam Jam Over-The-Door Mini Basketball Hoop Review: Hard to beat this hoop for the price of what it is and the quality it gives the buyers. Spalding is one of the most notorious basketball brands in the world, making quality basketball hoops to the basketballs they use in every NBA and WNBA game and the backboards for the NBA and NCAA Basketball. This hoop has a 1/4″ scale of NBA game backboard with an 18″ x 10.5″ Polycarbonate Backboard and Slam Jam Breakaway Rim Design. The basketball hoop just goes over the door, so it is easily portable, and with Spalding, of course, the hoop is very durable as well. SKLZ Pro Mini Basketball Hoop System Review: SKLZ pro mini hoop system comes through with another great mini basketball, and this time it is a basketball hoop system. This hoop system is very similar to a regular basketball system and a high-end basketball system at that because of the quality of this SKLZ basketball hoop. This system gives you an authentic basketball experience with a 14.5” diameter spring-action break-away rim and 33” x 23” backboard is made of shatterproof clear polycarbonate. If you are looking to spend a little bit more than normal but still have a mini basketball hoop instead of a regular basketball hoop, this is the hoop that I would personally suggest buying. SKLZ Pro Mini Basketball Hoop with Ball – 18”x12” Shatterproof Backboard Review: An excellent basketball hoop for your home or office. SKLZ make yet another great mini basketball hoop with this one. This hoop gives you door mounts and provides all tools necessary and this indoor mini basketball hoop is easy to set up for mobile use. With a breakaway steel rim that gives durability which is so important and the 23” x 16” backboard that is made of a clear shatterproof polycarbonate, there is also a protective foam padding on the backboard so that the dunks that you do don’t destroy the door while you imagine you a LeBron in the NBA Finals. NBA Game On Indoor Basketball Hoop and Ball Set by Jarden Sports Licensing Review: This mini basketball hoop is a mounted basketball hoop so consider where you want to mount the hoop at before buying. This basketball hoop comes with a decent amount of features for the price that you will get it for such as an 18″ x 12″ Authentic look and feel Backboard, easy to assemble and mount to a door as well as the hoop is made of durable Polycarbonate. The hoop also comes with 5-inch basketball ball and is equipped with a different breakaway rim. Also, how can anyone not love the fact that you can put your favorite NBA team logo on the backboard. Nerf Sports Dude Perfect PerfectShot Hoops Review: The Dude Perfectshot Hoop is an adjustable and flexible mini basketball hoop that is incredibly easy to set up and it’s portability gives it an edge when it comes to most mini basketball hoops. It also comes with a Nerf ball that will not damage the actual hoop itself and is made by Hasbro, so you know it is a quality made product you are getting. The basketball hoop is great for kids wanting to do trick shots, and it comes to a very affordable price. Get this hoop for kids, and they’ll be excited and will be attempting to make their own Dude Perfect videos. Rough House Lights – Off Glow in the Dark Mini Basketball Hoop Review: The Rough House mini basketball hoop is another glow in the dark hoop that will allow kids and basketball lovers a like to be able to sit on their bed and shoot from long distance as if they are Steph Curry or J.R. Smith at whatever time of the day. 9″ breakaway rim made from solid metal that hangs easily with a quick set up as it is simply an over the door basketball hoop and quickly using protective foam-padded hooks on any door, this hoop has what a buyer needs at a pretty decent value for the features it has. Twitfish Mini Basketball Set – Portable Basketball Hoop Review: Though this product has the feature of easy setup, the pros pretty much end there. One of the most important things in buying any product is the quality. This mini basketball hoop does not have the quality and durability that the rest have on the list. Another bad thing about this product is the feedback from buyers believing that is a bigger hoop to realize then when getting it that it is not. Personally, I would stay away from this product and get one of the other nine hoops that I listed at around similar prices. There are plenty of better over the door mini basketball hoops out there, just scroll back up. SKLZ: You have seen the SKLZ brand quite a few times on the lists of basketball hoops I would recommend. In terms of the mini basketball hoops, they dominate in terms of quality and quantity. SKLZ have so many options and give the customer so many to pick from that it seems likely that someone that is going to be buying a mini basketball hoop will buy an SKLZ hoop just because they have everything one can ask for. 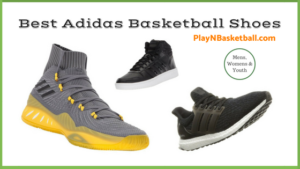 Not only do they have a larger quantity of basketball hoops on this list but all of them are some of the best mini basketball hoops on the market, so whatever hoop you purchase from SKLZ should give you exactly what you want. Spalding: Spalding is one of the top brands for anything basketball, whether that may from making actual basketballs or to NBA backboards or simply basketball hoops and mini basketball hoops are no different. Spalding make all of their product incredibly durable, and their hoops are made usually with a steel backboard and they attempt to give their customers some of the most realistic basketball fan experience without having to break their budget just to have some fun playing the game that they love. The realism of Spalding puts them over the edge for a lot of customers and I completely agree with it, the experience is one of a kind. RAMgoal: RAMgoal is an underrated basketball hoop brand, and they come out with some of the best mini basketball hoops. They should be a contender when you are looking at brands that make you feel comfortable buying their product. They bring a product that is quality and though some of their product can be a little bit pricier than a normal mini basketball hoop it is also cheaper than most of the normal basketball hoops. So for those in the market for a really nice basketball hoop but want their product portable and small, a RAMgoal product is for them. 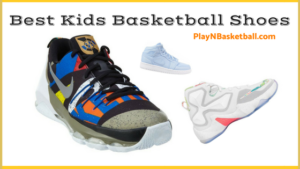 Hasbro: Hasbro is a great company when it comes to making toys for kids, and their mini basketball hoops are perfect for kids just trying to play basketball in their room or around the house and do tricks. If the basketball hoop that you are looking for is something that is a little cheaper that kids can use for a while to use as fun for a little, then get a hasbro basketball hoop and wait to buy a regular basketball hoop if they want to get a little more serious about their hoops. That little basketball hoop can inspire the next Russell Westbrook to start playing the great game. When it comes to basketball home entertainment, mini hoops are right up there with the best pool basketball hoops in terms of the most fun recreational way to play ball. Of course, neither of these options compare to installing one of the best basketball hoops in your driveway to play, real, actual basketball on. However, if you’re indoors, in a dorm, or office, mini hoops are awesome. Mini hoops have been around for decades, and over time, production has improved to create many options from the most simple rim and backboard combo to the most sturdy, reinforced rim and backboard that even Shaquille O’Neal would be hard pressed to shatter. Okay, maybe that’s a stretch. But regardless, there are options for all enthusiasts from small to big and everything in between. When buying a mini basketball hoop, remember to consider where you want the hoop to be hung. On a door? In the garage? At the office? Also, realize what you value the most. It may be the rim, it may be adjustability, or it may price. Take these factors into consideration when buying a mini basketball hoop. Rim: The rim is a very important factor does it flex or will it break after your friend drops a power dunk on it? Make sure you get a mini basketball hoop that can withstand some impact, which will help the door if you choose to place it on a door. Placement: Make sure you know where you want the mini basketball hoop to be. You want to make sure that the hoop you are getting can be placed exactly where you want it. So mounted hoops are not good to be on doors, and you might not want an over the door basketball hoop if you plan on using it outside. 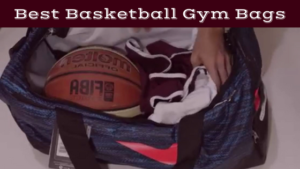 Portability: Portability is an important for most mini basketball hoop buyers because they want to be able to take it places and use it anywhere. However, there are many basketball hoops that you are not able to do that, and you don’t want to feel cheated when buying a hoop and not getting exactly what you want. There are many different kinds of mini basketball hoops to buy if you can believe that. There are Over the Door Basketball hoops, there are mounted basketball hoops, and there are whole basketball hoop systems. Here are the things to consider about each of them when in the market for a mini basketball hoop. Over the Door: Over The Door, hoops are simple and easy to set up. 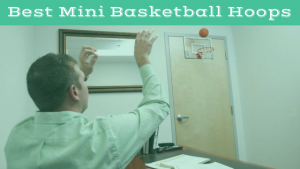 It is the typical mini basketball hoop that most buyers get as they just want a hoop to hang over their door at the office, home, or for kids. These hoops are portable and are a great use for fun while doing housework. It is also usually the cheapest which is always a consideration. 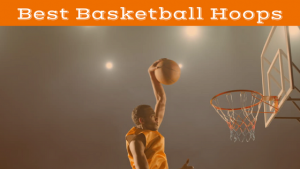 Mounted: A mounted basketball hoop is one that would be mounted to the wall or to the roof, these are the two most popular places to Mount a mini basketball hoop, but you can mount it to wherever you want. It gives the hoop more stability and makes for a more realistic game, but the price will be much more than a regular over the door hoop. Hoop System: A mini hoop system is very similar to a regular basketball hoop system only of course for these products they would be mini. 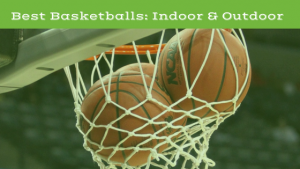 Most of these mini basketball hoop systems would allow buyers to more of a realistic basketball hoop but would allow buyers to travel with it to places such as in the house, or at the pool. 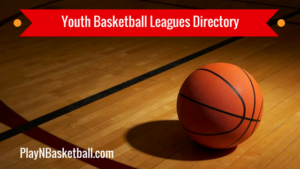 In short, research how you want to use a mini basketball hoop and once you discover how you want to use it, take a look at the list I provided. I have at least one of every kind of mini basketball hoop there is so there is something there for you. Make sure that the factors that are important to you are featured in the basketball hoop. Brand recognition is important, and for a good reason, the four brands that I listed are some of the top brands of the best mini basketball hoops. Choosing from one of these brands can give you some comfort in knowing can trust it to last many games of home, dorm or office hoops.